It’s that most sartorial time of year again. Yes, New York Fashion Week is upon us. The spectacle began on Thursday and continues through February 18. Attending all of those fashion shows and hobnobbing with models, celebrities and designers is hard work, and tends to work up a thirst. To take the edge off, Fashion District–adjacent boutique hotel The Gregory is offering a special “Couture Cocktail” collection at its lobby bar, The Liquor Cabinet. Five different designers—Nicole Miller, Nanette Lepore, Hickey Freeman, Yeohlee and Sylvia Heisel—each created a signature drink that the bar will have all week for the surprisingly affordable (for NYC) price of $10—$8 if you are a guest at the hotel. 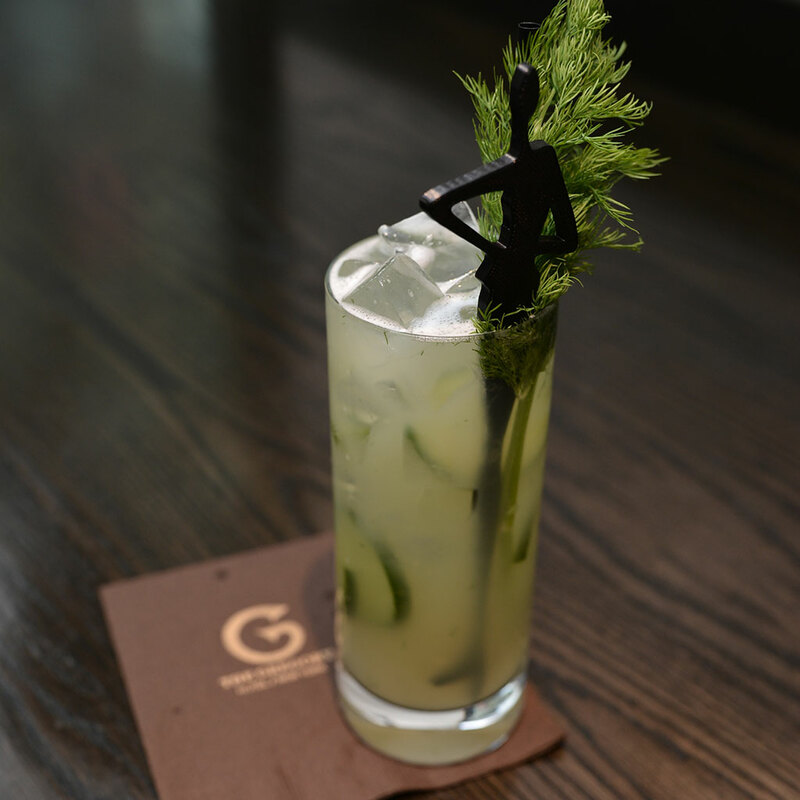 Some of the cocktails will be served with a 3D-printed drink stirrer in the shape of a model’s silhouette, a little souvenir that you can take home and treasure forever. Below you can find the recipes for the drinks. If you can’t make it out to the Gregory, mix one up for yourself at home and binge-watch the last season of Project Runway. First prepare your glass by dipping the rim in salt. Add the rest of the ingredients to a cocktail shaker with ice. Shake and strain into your prepared glass. Add vodka to a tall glass with ice. Top with ginger ale and dash in bitters. Add all ingredients to a shaker with ice. Shake and strain into a rocks glass. Muddle the cucumber in the bottom of a shaker. Add ice, gin, lemon juice and simple syrup. Shake and strain. Top with a splash of soda and garnish with some fresh dill. Add all ingredients to a mixing glass with ice. Stir vigorously and strain into a cocktail glass. Garnish with a Maraschino cherry.